Lately, there have been all sorts of constitutional amendments concerning the cultivation, possession and use of marijuana all over the country. It is even difficult to know if marijuana is legal in your own state when you consider medical decriminalization and legalization is still an ongoing movement. However, some US states have different laws that allow the use of medical or recreational marijuana but other states have still maintained their stance that marijuana use and possession is illegal. Though campaign groups in these states have pushed for marijuana decriminalization, the state still consider marijuana illegal. One state that has yet to legalize medical or recreational marijuana is the state of Florida. However, the campaign to legalize medical marijuana is gaining momentum and it won’t be long before medical marijuana is legalized in the Sunshine state. While it is illegal to possess even less than 20 grams of marijuana, Florida marijuana laws are a bit hazy when it comes to the topic of medical marijuana. Well, you may face jail time or huge fines if you are found to possess even a small amount of marijuana however you can defend yourself if it is for medical purposes. As stated earlier, Florida marijuana laws are not that straight forward like in other states that have legalized the use of medical marijuana. 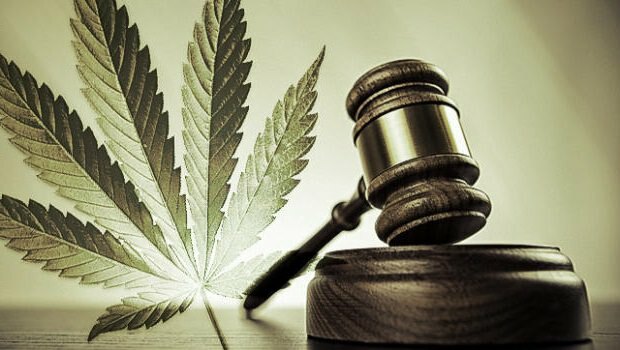 US States like Washington and Colorado have enacted lawsthat are quite clear as far as medical marijuana use is concerned. However, the Sunshine state treats marijuana as a controlled substance with a high rate of abuse. In the state of Florida, possession of marijuana is a 3rd degree felony, however if you are found to have under 20 grams of marijuana then that is 1st degree misdemeanor. Moreover, any possession of more than 25 lbs. of marijuana is considered trafficking and a 1st degree felony that could lead to some serious jail time. A first time offender who is found in possession of about 20 grams of marijuana may escape with a lenient punishment or fine. But, if it is a subsequent offense then they face imprisonment as well as huge penalties. It goes without saying that if you are found in possession of a small amount of marijuana an attorney could defend you on medical grounds. Drug trafficking is a serious offense in the state of Florida and possession of 20lbs. or more of marijuana is termed as trafficking. The amount of jail time and fines will however vary depending on the actual amount of marijuana you are found in possession of. The higher amount of marijuana you are found in possession the higher the penalties as well as jail time. Florida marijuana laws state that anyone who is found in possession of 25 – 2000 lbs. of marijuana must face a mandatory 3 years in prison as well as fines amounting to $25,000. You will also be fined $50,000 and face 7 years imprisonment if you are found with 2,000 – 10,000 lbs. Last but not least, if you are found in possession of marijuana in excess of 10,000 then you face penalties amounting to $200,000 and face 15 years in jail.